Connor McDavid and Nail Yakupov took another step in their rehab today, as both were involved in a battle drill during practice. Todd McLellan had a unique practice. The entire 60 minutes focused on offense and offensive zone time, and this is part of his plan to start implementing more drills, habits and skills to his team. He feels they are ready to handle more, but he says the risk is the team can’t forget the details they’ve worked on until now. They need to maintain their habits and schemes, but also digest the new ones the coaches will present in the second half of the season. McDavid, Yakupov and Pakarinen were a line today, and all three are coming off different injuries. Pakarinen admitted he had a concussion, but he is feeling better and once he passes all tests he will be cleared to play. McDavid has been skating for almost a month. He has been shooting for over two weeks and is feeling better every day. Today, near the end of practice, McLellan had his team do a battle drill inside the two circles at each end of the rink. One player had the puck, while the other one had no stick and the goal was to push the puck carrier of the circle, while the puck carrier tried to fend off the defender and deke around or through him. After about 20 seconds of battling, McLellan would blow the whistle and the combatants would skate to centre and back. McDavid and Yakupov took part in this drill. McDavid looked fine, albeit his teammates weren’t hammering him. It was a good first step in his progression of testing his shoulder/clavicle. The Oilers will not rush him back, and I don’t see him playing either game this weekend, but he is progressing nicely. Yakupov was quite excited about the drill. There is more pressure on your legs/ankles in this drill than a clavicle, for instance, and Yakupov hadn’t really tested his ankle in any sort of contact drill. “It is frustrating being out this long, especially when you think your foot is fine, but when you do any movement it isn’t. I am happy to be on the ice and skating with the team and finally doing some battles today. I was checking to see how it would feel, and overall it is good, but it is just the first step. I have to push my foot and make it work a little bit,” said Yakupov. “You still think about your foot and you try not to hurt it, but when you are 100% sure you don’t think about any injury, you just play. I still think about it, but it was a good test and I think I can trust my foot 80% now, and I can do some quick turns and some quick stop and starts, which is good,” explained Yakupov. Often the mental hurdle of not hesitating or thinking about the injury is the final step for most players, and Yakupov was very happy with how he felt after. He cautioned it was only one day, but he was happy he didn’t feel any pain or weakness. Yakupov will miss his 20th and 21st games over the weekend, while McDavid sits out #29 and #30. Both are itching to get back, but their final steps are a bit different. 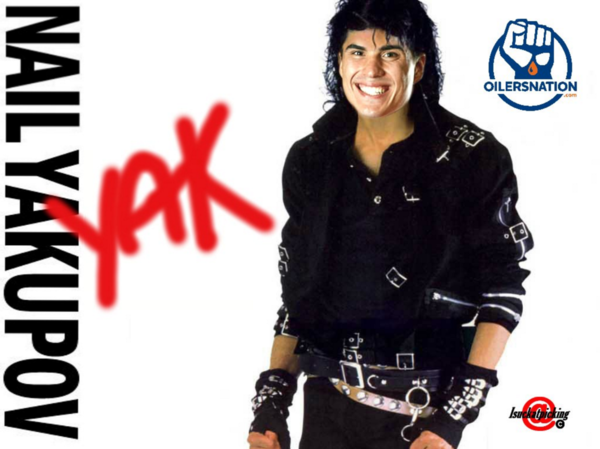 Yakupov hasn’t been able to do much skating and he needs to get his lungs back. We can expect him to endure a few conditioning skates before he gets the green light. McDavid has been able to skate more and his legs are ready to play. He will never be in game shape until he plays some games, but his final steps are about the strength of the clavicle bone and surrounding shoulder. “Connor’s injury is different (than Yakupov), there is still some healing that has to go on in that situation, but he did take part in some of the battle drills so that is a good sign,” cautioned McLellan. Taylor Hall was announced as the Oilers representative at the upcoming All Star game. It was an easy decision. Hall is top-five in scoring and has been excellent all season. He was asked about staying healthy. not as much fun to be on the ground and on the IR all the time. Hall pointed out he didn’t mean quit, as in not try, but rather that he doesn’t go into an area where he would automatically be vulnerable. He was also asked about finding the experience to play this way? I think Hall has made much better decisions ever since he was crushed by Cory Sarich. He only missed one game in 2013, seven in 2014 and none this year. So one serious injury in four years isn’t nearly as bad as it was over his first few seasons. Lots of trades today. I wonder if Edmonton ever had a shot at Schenn or Jones. So Johansen for Jones? That kinda stings…. I would say Boston won that trade if not for what they used the picks on. That’s only because TJ Brodie came back and Hamilton didn’t have to play on the top pair. Just like Petry, Hamilton needs to be sheltered in order to be effective. Having Brodie knock him a peg down on the depth chart allows Hamilton to be serviceable. But I bet you put him through a Volman, and he doesn’t look so great. Also, during that 7 game win streak, Calgary was terrible as a team. They got badly outshot, outchanced nearly every game. Some they were flat out dominated. But, as it was last year, they found favourable bounces and late game heroics by Gaurdreau. Gaudreau needed TWO hat tricks in the span of seven games for them to go on that run. TWO! Hamilton is about on pace to have the same amount of points as Schultz did last year, not what I’d call lighting the world on fire. And yes, as an Oiler fan I’m speaking from a position of hating anything good that goes the Flames way, but they truly are a garbage team. They are one note: clog the lanes, let opposing team blast away all night, capitalize late with stretch pass through the zone. That’s why Calgary defenders year after year have highest shots blocked ect ect. Brodie lifted the entire team not just Hamilton. A top pairing billing was too much for a 22 year old kid coming from the East to the West and a new city with a new Contract and new system The last 20 -25 games though? Credit where credit is due, Hamilton is definately not a terrible D man or anything. And he’s young and should get better, but he was billed as a top line d man, and he’s not. I also think his mobility is an issue. Lost all credibility hamiltons greatest asset is his skating. If that’s his greatest asset then it’s worse than I thought. What have you been watching? Read it, don’t think Nurse and Hamilton are comparable. Hamilton got to mentor with Chara in Boston. 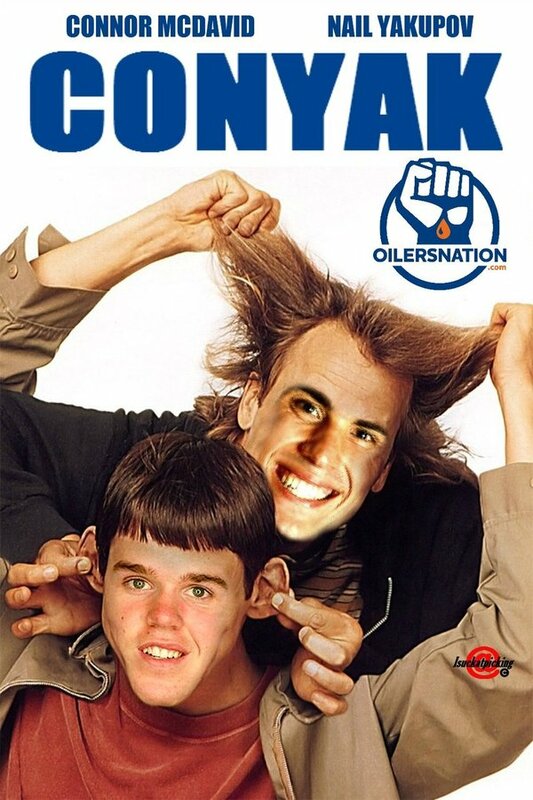 Nurse got chucked into the deep end in Edmonton with Sekera on his off win as Nurse’s mentor. While I agree Nurse also needs to be bumped down the chart, I think ultimately he will be a far better defender than Hamilton as Nurse has a lot greater mobility. I think the Oilers would not of gotten Jones for Nuge because Nashville would not have had to face Jones and the Oilers in their own conference for ten years. Plus RY is a better hockey player. Fair deal though. Nice to see a real hockey trade. My guess is we offered Nuge but they wanted more size. I’m sure it’s just a coincidence that when other teams swing deals that the oil were rumored to be interested in, leaving things in Edmonton status quo, the media trumpets news about McDavid skating with the team or engaging in 20 seconds of a battle drill. Jones and Schenn off Oilers list . Looks like M.Richards got a $1M contract with Caps . Should we have taken a chance on Richards ? Seems to be a better choice than Lander . Wonder if Chia offered Hopkins , but Nash took Johansson ? L.A. trade good for the Kings , as they gave up nothing really for Schenn and Lecavalier . Why are people bashing both Jones and Johanson? It’s a pretty fair trade for both teams. I believe that the “winning” team will end up being Nashville simple because they aren’t making a hole to fill a hole. I think that’s something that’s forgotten quite often. I’m looking forward to seeing what a healthy Oilers roster will look like on the ice! Most people just don’t seem to see the value in d men vs forwards. A major disappointment that PC could not land Seth Jones. He was available and we didn’t get him, with our need of a future impact rh d man. You will never convince the mob that Jones was worth more than Nuge though. Only Calgary would trade a number one centre for a third pairing D-man. How’s Hamilton doing anyway? Looks Like ChiaPete avoided a 5 million dollar boat anchor. Hamilton is better than any oiler dman right now. Only Oiler fans see Nuge as a bonified #1 Center. Don’t let your hatred of Calgary cloud your judgement of Hamilton. Sekera took 30 games to settle in and you expected Hamilton at 22 to do it right away? If I recall correctly the Chiapet traded a chance at Barzal and Kylington for Reinhart (a number 4 dman at best) and made a huge overpayment on Sekera (he is what you would call a 5 mil boat anchor since he gets less playing time than Jultz and a 21 year old). No need to be jealous of what the Flames are doing. I’m sure if you guys got Hamilton you guys wouldn’t shut up about how he could be the next Norris winner. But keep drinking that Kool-Aid Oilers fans. Next season will finally be the season that being a non lottery contender could finally happen! My sons 97 jersey will be in on Jan.15, so my guess is 16 th vs Stains , so he can have jersey for his first game back. That is sons theory anyways. Seems about right if he’s starting contact battles. Best thing about this article is that McLellan had a step for the players to focus on during the first half of a season and is now adding more detailed elements since hey have developed the main parts of the system as habbits. From a hockey fan and a business owner, I always though it was common sense to teach a team the core of the system and once that is mastered to start expanding on the teaching for advanced system implementations. This team has always needed a coach for 2-3 years to stat slow with the basics and master one part of the system at a time but at the end of 2 or so season the rewards would be reaped. It took the Oilers 10 years to actually trying to build a team like with that method. Dallas Eakins swarm system clear proved That common sense in hockey isn’t very common. His mid rage plan of 1.5 season of instrution and learning with mid next year everything becomes second nature. After that they start to push for a playoff spot that year or the next. After that they can go into the playoffs with an actual chance at winning a round or 2. 5 year plan to be legitimate Stanley cup contenders, possibly a year sooner. Realizing Chaireli and McLellan have a solid have a plan in place,makes me more comfortable than the bozoz of the past 15 years that the Oilers will eventually find their way out of the desert. Whenever the team thinks McDavid is ready to play, don’t start him for another week. Whats a week to protect the interests of his career. First game in Feb sounds about right.